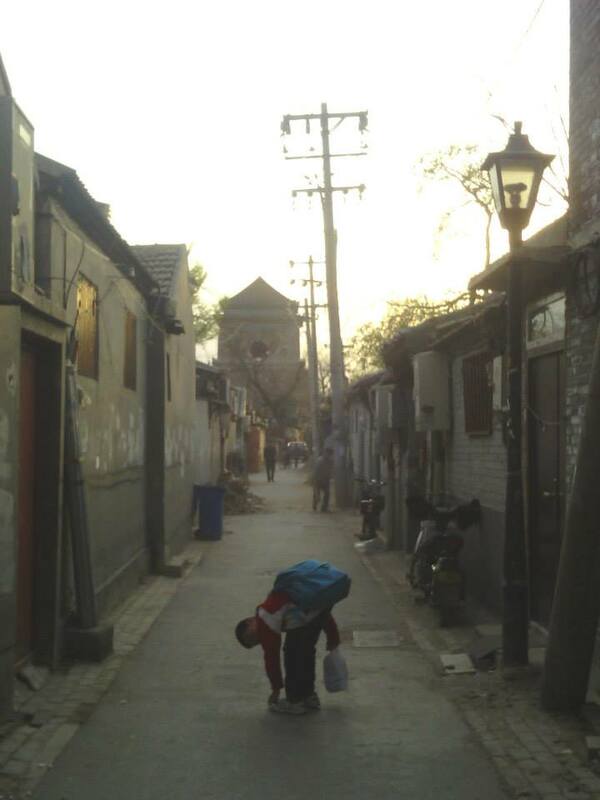 A Beijing hutong (alleyway). Copyright: Lu-Hai Liang. Until very recently I did not have a regular income and though 2013 was marked by great experiences (some of the best ever in fact), it was not one that saw me in great wealth. I won’t go over the details but there were periods where I had to subsist on the cheapest foods and debt seemed unending. Poverty. Not many of us actually know it and know it well, and I would not be one to claim expertise. But a couple of things I saw recently helped to reaffirm my position toward the accumulation of cash. The first was a quote I saw in Tom Bissell’s book Magic Hours. In an essay about writing and writers he quotes author Natalie Goldberg: “I feel very rich when I have time to write and very poor when I get a regular paycheck and no time to work at my real work”. The second thing was a video of an interview with a musician who said: “If I have enough to pay rent, buy groceries then that’s cool – I can just concentrate on my music”. Being ‘poor’ is relative. We live in an age of bounteous opportunity. Being so-called poor provides a clear set of options. How? Well, it frees you to concentrate on what most matters. A month ago I published a post on WannabeHacks.co.uk, a website for aspiring journalists. There I set out the argument that in order to freelance, especially in the early stages of your career, one of the best things you can do is go and live in an emerging economy country. In writing this blog, I have already made contacts with fellow freelancers who are doing what I am doing: taking a risk, moving to somewhere exciting where things are rapidly changing and kickstarting their journalism career. Someone I know (met via this blog) decided to relocate to Istanbul and has already been commissioned multiple times for a major magazine. But it can be difficult, especially financially. It helps to have some money saved up. But one of the best things about living in a country like China or Turkey or Malaysia or Mexico is that although economies are growing things are still relatively cheap. In China I eat out almost everyday and party hard. If I were freelancing in London, I’d probably already be dead. Due to starvation and exposure (’cause I couldn’t afford a roof over my head). Kate Hodal (Guardian) sold most of her possessions to finance a move to south-east Asia and was so hard-up on so many occasions that she almost went home. But she persevered and now has the envy-inducing job of being South-east Asia correspondent, meaning she gets paid to fly to places like Vietnam, Indonesia and the Philippines from her base in Thailand. Jonathan Kaiman (also Guardian) had to survive on a low-paid internship and a visa that forced him to take a bus full of Mongolian tradesman to Mongolia every month for almost a year, but he got bylines in the New York Times, LA Times, Foreign Policy and is now one of the most talented China correspondents around. Alec Ash, a Brit and correspondent for The Los Angeles Review of Books, wrote for four years for free on his blog about China from his home in Beijing. Now he’s living it up on an advance for a book he’s been signed to write. Having the ability to purchase that new phone or buy that bag makes people happier. But it doesn’t, not really. You have to switch your mindset around to focus on what’s really going to drive you forward. Those shoes or that expensive meal might seem important but the enjoyment is absolutely inessential. You cannot, must not, think short-term material goals at this stage. What is important and infinitely more satisfying is recognition, appreciation of your work; the attainment of value. To want more and more stuff is unerringly shallow. Invest in yourself. Buy what you need to hone your craft, no more. Spend on experiences…but spend wisely. Being rich is meaningless if it doesn’t make you better at what you do.